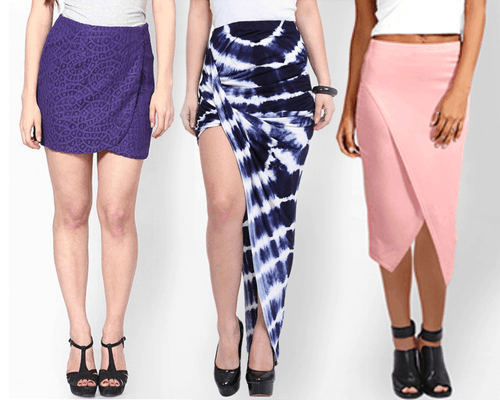 Skirting The Issue: The BEST Skirts For Every Body Type! Finding the perfect skirt can be quite a challenge, given how many options we’re always surrounded by! And unfortunately, not everything looks as good on us as they do on the mannequin. That’s why we bring you our list of the best skirts - in every length! - for your body type, so you can be totally sure if the one that’s making you reach for your credit card is the right one for YOU! The key for you is to find skirts that add height to your silhouette, and don’t make it look like you’re drowning in fabric. Structured materials are a good idea for this; and when you’re going long, pick something with a side-slit to show a hint of leg and add height to your frame. Avoid mid-calf length skirts - they tend to make a small girl look shorter still. POPxo Recommends: Embroidered Polka Dot Skirt (Rs 1,129), Miss Selfridge Pencil Skirt (Rs 1,250), Vibrant Slit Maxi Skirt (Rs 1,369) MUST-READ: Fashion Meets Fitness: Get In Shape For The Mini Skirt! 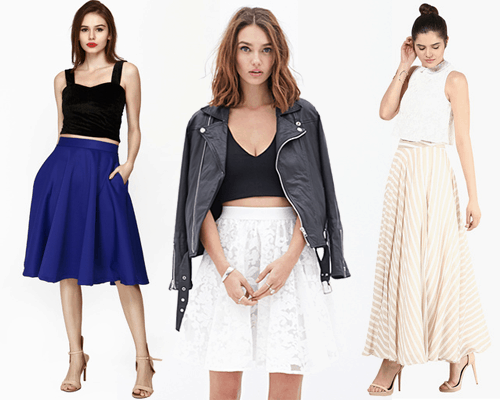 MUST-READ: Max Up Your Style: How To Rock The Maxi Skirt Every Single Day!